Few districts of Paris have a past as rich as Saint-Germain-des-Prés, where history and creation come together as one. This mix belongs to the genius of France. Since ever, Saint - Germain des Prés has been a place of a particular charm that has always inspired artists. In the20th century, the Saint Germain des Prés continues to be synonymous with literary and artistic life, with its numerous cafés that have created their own circles and even their own literature price. "Les Deux Magots" café sets up the Saint Germian des Prés Price whose first winner is Raymond Queneau for its book "Le Chiendent". 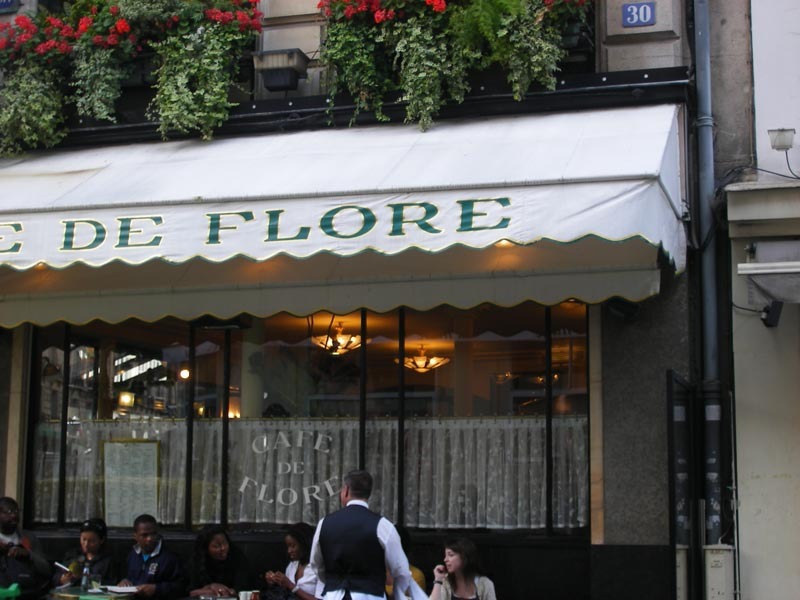 In his essay " Le piéton parisien"
( "the Parisian pedestrian") Léon-Paul Fargue says of the three most important cafés ( Le Flore, Les Deux Magots et Le Lipp) that they are " real institutions, as famous as state institutions". During the Second World War, while Parisians are subject to restrictions and curfew, those cafés are the last place of free exchange of opinions. Every day Jean – Paul Sartre et Simone de Beauvoir arrive early in the morning in one of the cafés in order to get the best seat, near the stove. After the war, the avant - garde theater grows. At the Babylone Theater are played "En attendant Godot" de Samuel Beckett in 1953 and "Amédée ou comment s’en débarasser" de Ionesco. In 1956, Cocteau’s "La machine à écrire" is given at the Odeon Theater and "Rhinocéros" at the Récamier Theater in 1960. Paintors and photographs are also attracted by Saint Germain des Prés: in 1937, Picasso finishes "Guernica" in his atelier in rue des Saints Augustins, where his friend Man Ray often comes to visit him. 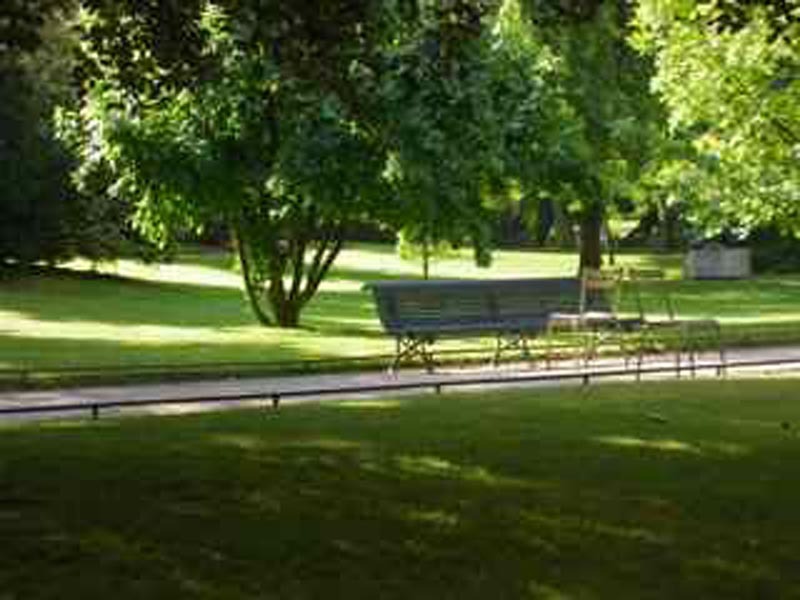 Musicians are there too: Léo Ferré sings at La Fontaine des Quatre Saisons, and musicians such as Georges Brassens, Jacques Brel, Charles Trénet, Guy Béart, Charles Aznavour and Serge Gainsbourg whether live in the area or are its regular visitors. They all enjoy meeting at the cafés in the daytime and in the night in the famous cellars, such as " Le Bar Vert" or " Le Tabou" that caused such a scandal. In these cellars, artists listen to the New Orleans Jazz and the Be Bop, brought to the Club Saint Germain or to the Blue Note by Sidney Bechet, Miles Davis and Duke Ellington. Juliette Gréco and Anne- Marie Cazalis are the queens of those nights and launch the existentialist stream. By declaring itself "existentialist", the Saint Germain youth misinterprets Sartre’s philosophy and presenting his thought just as a scandalous trend annoys him considerably. The history of Saint Germain des Prés is an illustration of a particular bond between this area and the cultural and artistic life of Paris. That is why it is essential to preserve the spirit of this place, l’esprit du lieu, in order to save our cultural heritage.